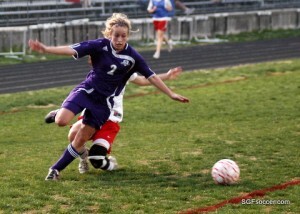 Scoring statistics for the 2010 Spring Season, as submitted by the High School Coaches. For players or teams who are not represented, please have your coach contact me with the information. I will accept it as a spreadsheet. Goals scored during Penalty Kick shootouts are not included in this list, only goals scored during the run of play in regulation or overtime. Penalty kicks scored during those time periods are eligible.